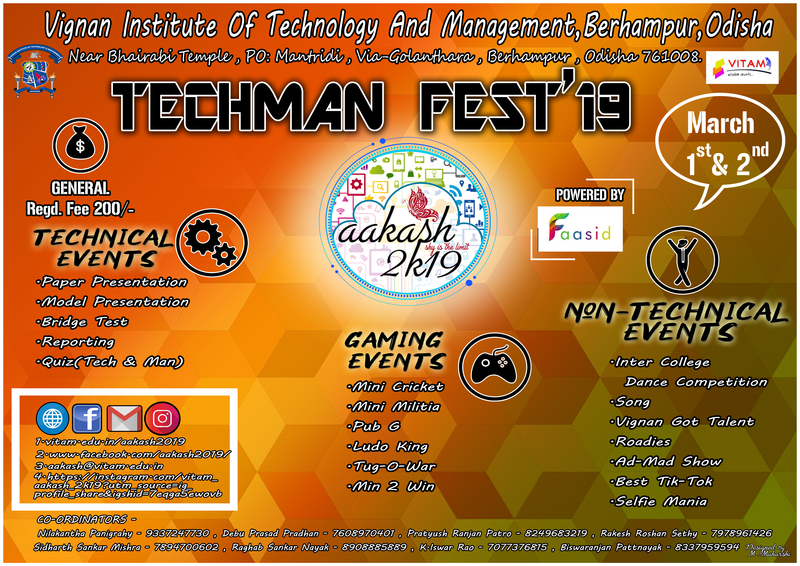 Welcome to the VITAM Teck Fest 2K19 @ VITAM Campus on 1-2 March 2019. From here, you will discover all the possibilities of your career growth that VITAM has to offer you. ⇨ VITAM - An ISO 9001:2015 self funded Technology and Management Institute offering a wide variety of academic programs at its campus in Berhampur, Odisha. Students enjoy extensive resources which is not available at most of the nearby colleges and personal attention not commonly found at other institutes. ⇨ VITAM is the Life Member International Accreditation Organization (IAO) Houston U.S.A for the highest quality standard. Further, VITAM is having GoL MOU with Glewford University (U.S.A) for faculty and student exchange Programmes. ⇨ With very high placement records and Internships, almost all graduates from VITAM are working in very reputed organizations in responsible positions which includes Google, TCS, CGI and many more. ⇨ VITAM offers Undergraduate engineering degrees (in Computer Science, Mechanical, Civil, Electrical and Electronics, Electronics and Telecommunication), M.Tech Programmes and M.B.A. 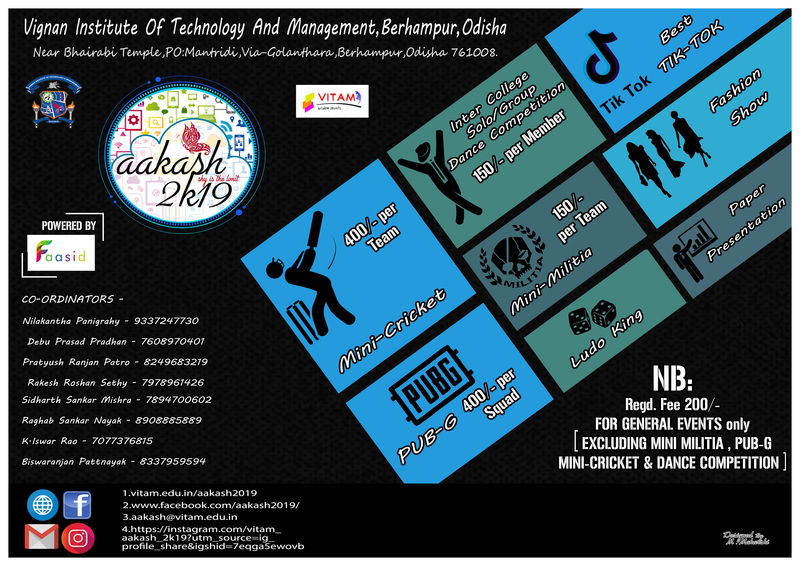 Please visit our campus or meet us at our corporate office to know more about us.